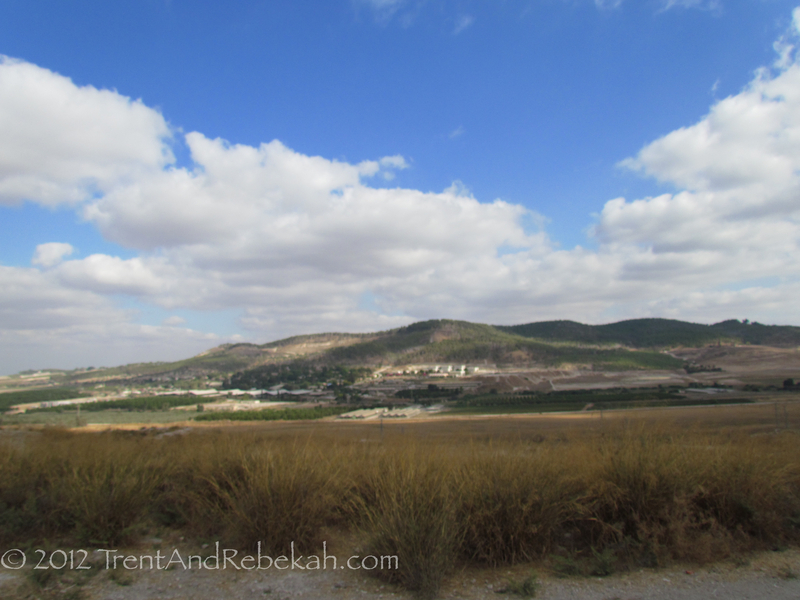 On what was one of the most exciting days of the trip so far, we finished up our Israel leg by winding our way from Jerusalem down to Gath, and up to Tel Aviv through the Shephelah (or Shfela). 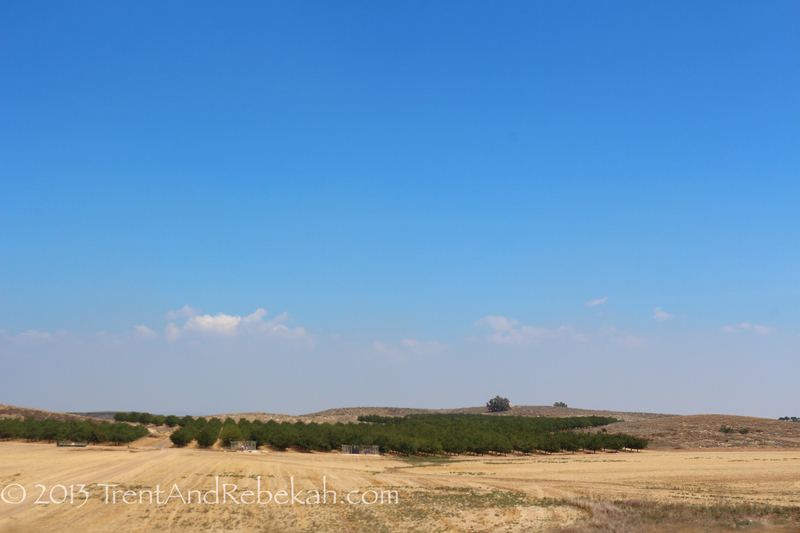 This is the lowland area of southern Israel in Biblical Judea. 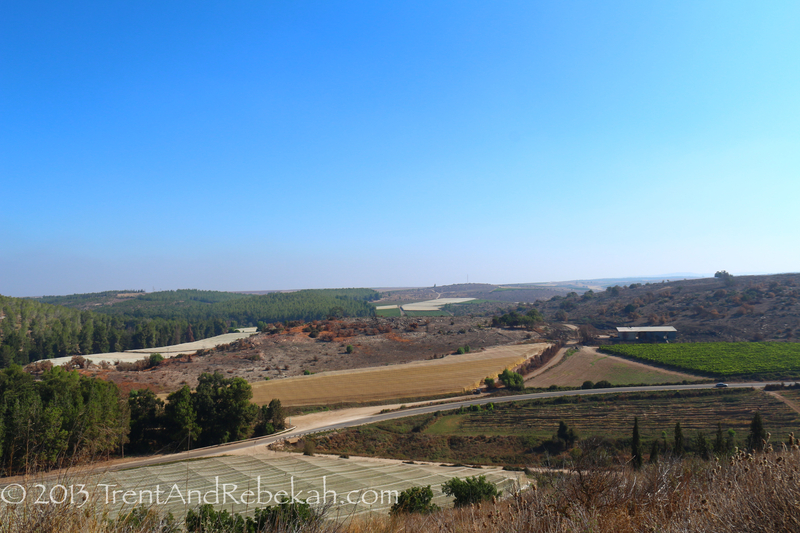 It’s interesting to note the difference between the two sides of the ridge in Judea–on the west is the Shephelah with rolling hills of fertile agricultural land, which you can see in the Sorek Valley photo. On the western side of the mountains is the wilderness of the hill country with its rugged and barren land. 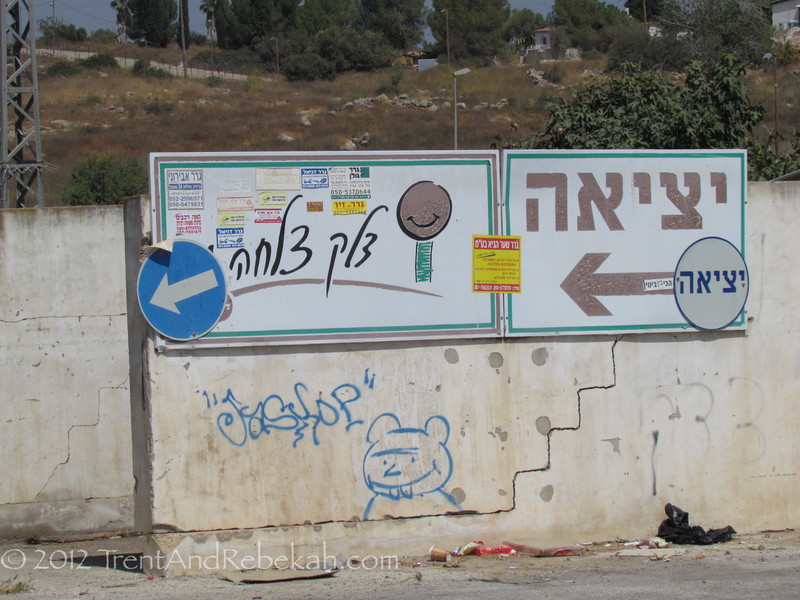 We stopped at the tell of Beth-Shemesh first. This was originally in the Danites’ territory, which was abandoned when the Philistines became too aggressive for Dan’s sensibilities. God allowed their territory to be overrun because they violated His command to utterly drive out the inhabitants of the land (Judges 2:2-4). 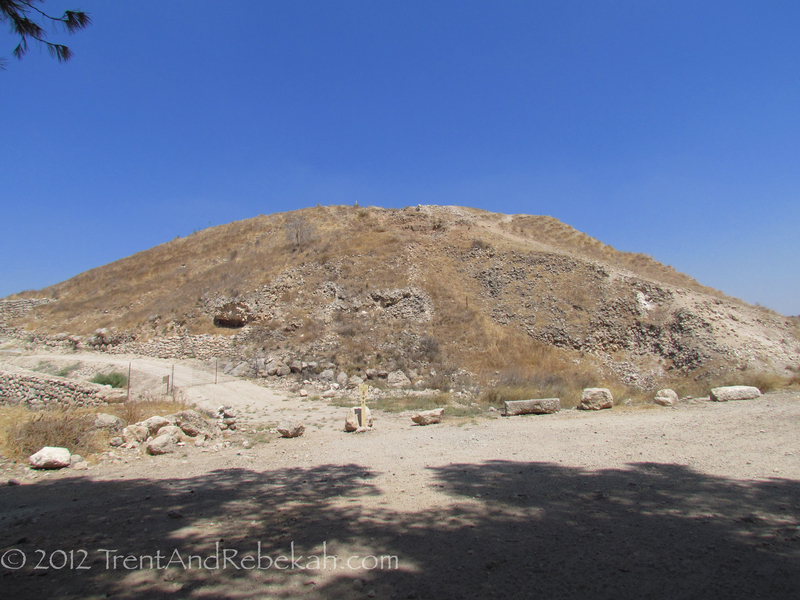 This city was at an important passage through the Shephelah and the old stomping grounds of our friend Samson. His birthplace and his wife’s hometown are both visible from this tell. The Philistines would later send the Ark of the Covenant up the Sorek Valley on a cart drawn by two very miserable milk cows. 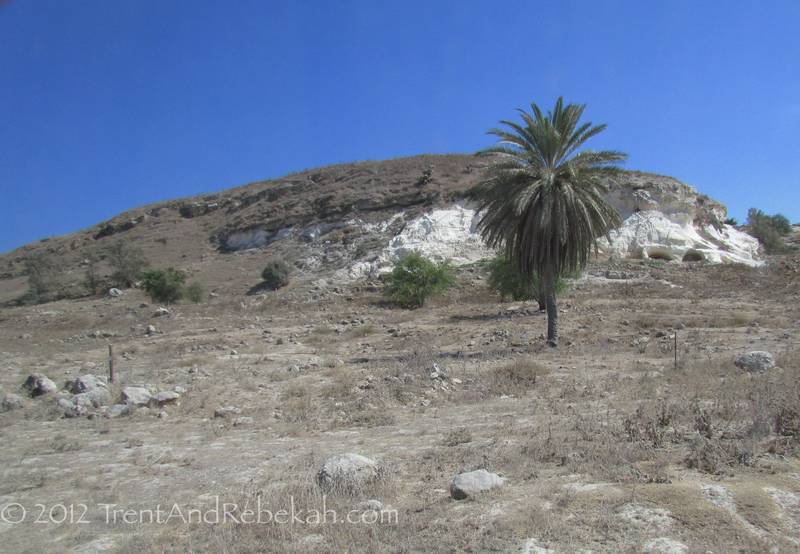 Another stop on our way was the tell of Lachish. This was a geek-out site for us. The British Museum has a beautiful display of Sennacharib’s siege against Lachish (note the siege ramp on the right of the mound), from the beginning to the brutal end when the rebels were impaled or skinned alive as the rest of city was led into slavery. The Assyrian army was slowly moving through Judah, ravaging the land and conquering the fortified cities–cities which communicated to each other by signal fires. There’s an emotion that lands somewhere between heartrending and chilling when you read one of the final letters to the military governor saying, “…we cannot see [the signal fire of] Azekah.” Lachish was alone. 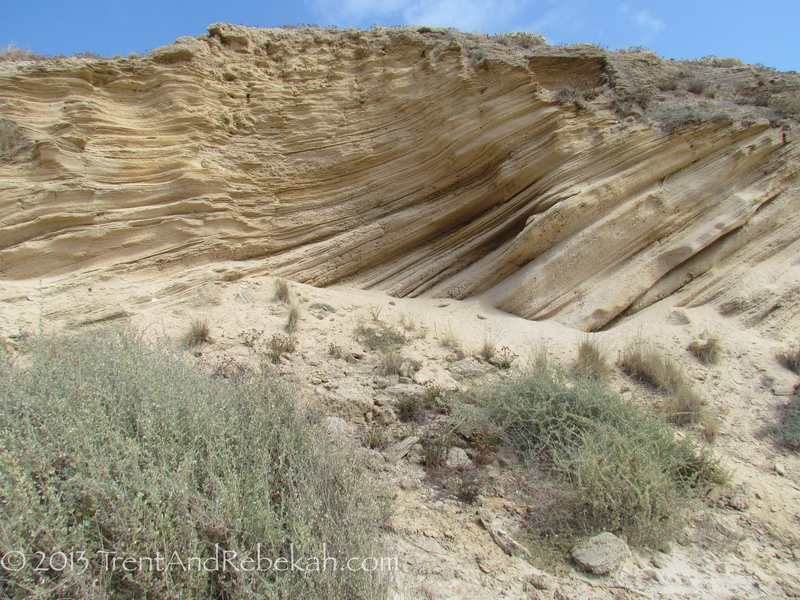 The last site was Gath (Tell es-Safi). We know this best as the mighty giant Goliath’s hometown. Ironically, the brook of Elah runs at the foot of the city, the same brook from which, further along, David likely lifted the smooth stone that would be Goliath’s bane. Now, for the weird note for the day. 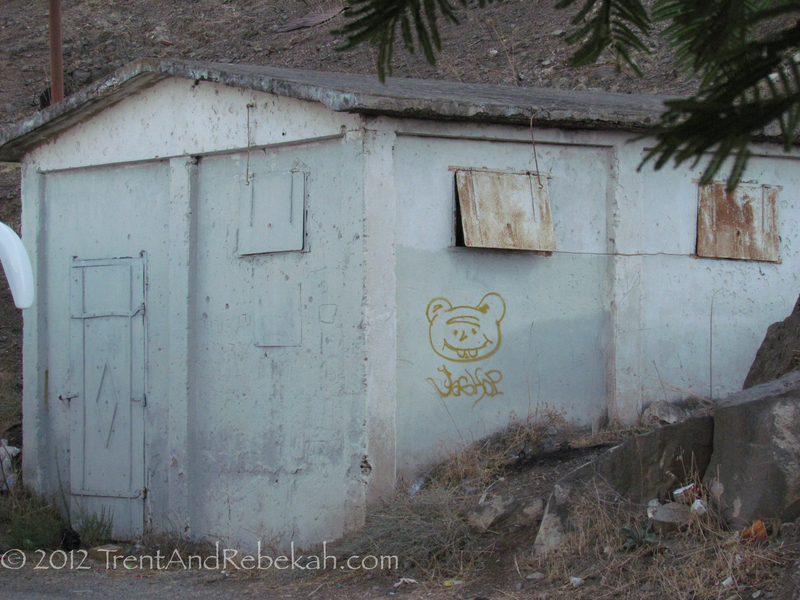 In Tiberias, across from our hotel, we snapped this photo of a creepy bit of graffiti. Creepy, because that buck-toothed teddy just seems to stare into your soul. Much to our consternation, we stepped off the bus 10 days later at a random gas station in southern Judea near Lachish, and there–staring into our souls–was Creepy Bear. Again. 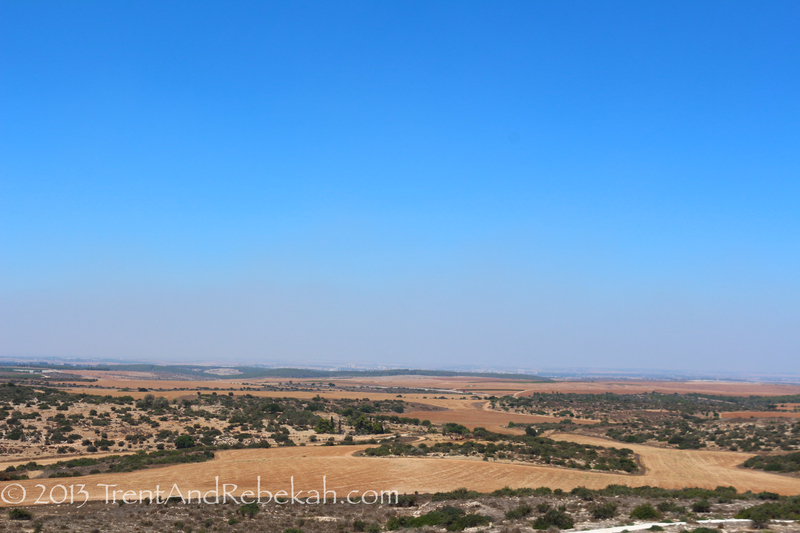 This is our last post from Israel–we’re heading to Seville, Spain next. We hope you enjoy the next step in time to the Renaissance and beyond!